We build lasting relationships with our customers. This way we can get to know your vehicle’s performance needs, your driving habits, and the manufacturer’s recommendations. Your part in this owner/technician relationship is simple–all we need is your car, and your trust. Trust us to always have you and your vehicle’s best interest at heart. Auto repairs are our job, and we perform them with more speed and accuracy than any repair shop in this area. A trip to WCS Automotive’s repair facility doesn’t have to be an all day affair. 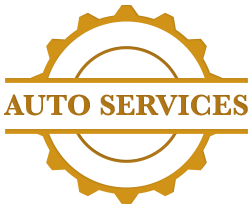 We provide quality same-day services that make receiving auto service as convenient as possible. We understand that auto service appointments are an interruption to your already busy day. Our expert 10 bay facility is complete with a roomy and comfortable waiting area. With couches and complimentary coffee, there’s only one thing you need while you wait–Free WiFi! When you stop by WCS Automotive today, you’ll avoid costly repairs and breakdowns tomorrow. Our preventative maintenance services are handling that for you–the future. Have a question? Call us today at (781) 871-1337 or schedule an appointment online. If you’re seeing, hearing, or smelling that something’s not right with your vehicle, let us tell you what’s wrong. The faster you can get our professionals on the job, the faster we can get you back to worry-free driving. You’ve never driven your vehicle with more confidence than when you drove it off the dealer’s lot. The engine hummed, the transmission was smooth, and the handling was excellent! Let’s go back to that day. You don’t need a time machine, just make an appointment right now using our convenient online scheduling system. Getting your vehicle, and keeping your vehicle, at peak performance is our specialty, and we’ll also prevent expensive repairs down the road. We’re in the business of keeping you out on the road--not in our service bay. But it’s our pleasure to perform auto repair needs for all makes and models. Give us a call today at 781-347-4367 to schedule an auto repair appointment. Next time, you’re in the area, feel free to stop in, talk with us and schedule an appointment!